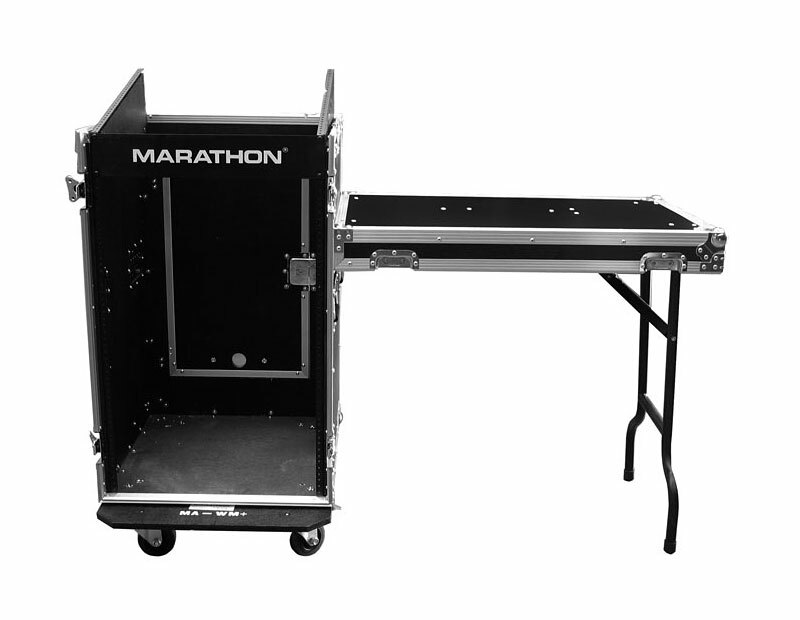 Hold your gear with MA-11M16UCT that transforms into a working slant rack station. 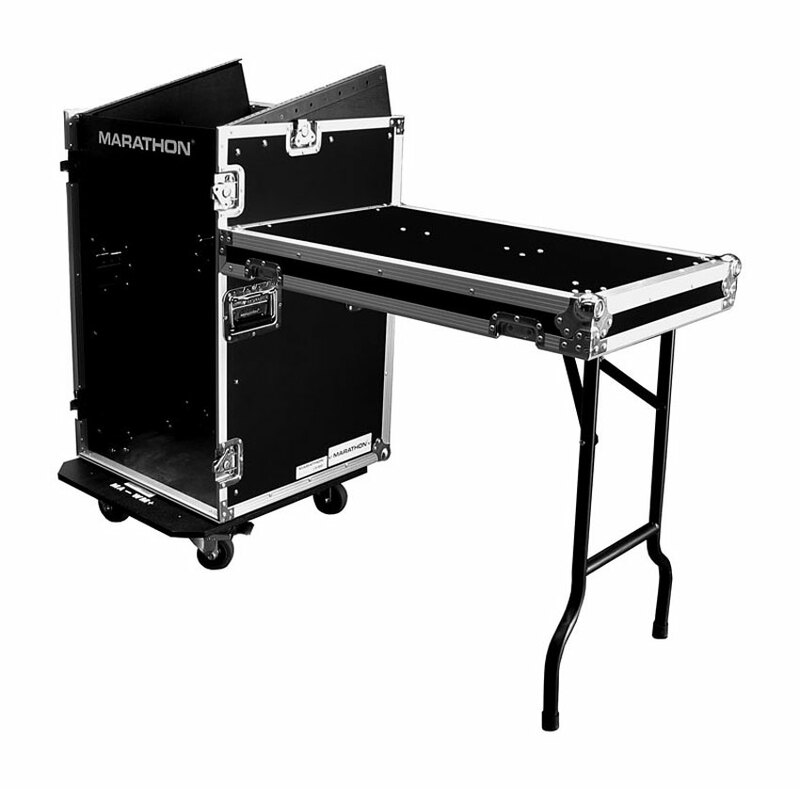 It has a 16U vertical rack for your amp and a 11U slanted top rack for CD/mixer controller position. 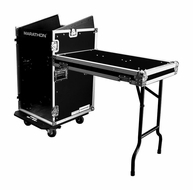 Move your station with ease, the strong 3.5" caster kit will roll your cool gear with sleek wheels and safety lock features.